The cost starts at £395 for Enamic and for the very latest aesthetic Emax's the charge is just £495. This is the most popular and combines strength and appearance, and is very suitable for back and side teeth. It is a hybrid of Ceramic and composite. We can apply staining to enhance the appearance. they are glazed using a cold curing method. This is not as strong as Enamic but has better appearance qualities. It is not suitable for patients who have a heavy bite, and would not be the choice for back or chewing teeth. We can apply staining to enhance the appearance. These are glazed in a Vita Vacuum Furnace. This is the best material and combines the best strength and appearance qualities. It is suitable for all the teeth and is also suitable for bridges as well. It is the material that is used for Smile Make Overs. This is a wonderful material and it actually starts off as a soft purple bloc, and then after it has been in the Furnace it changes to the chosen colour and becomes very hard. It comes in a wide range of colours and translucencies which means we can create almost any colour. We can provide a bridge in the same way as a crown. This is a marked improvement to the service we offer as there is no waiting. 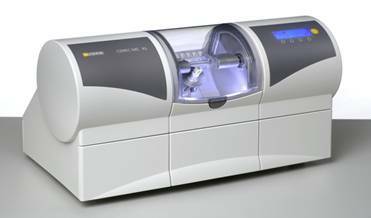 The Cerec Machine will produce bridges for front and back teeth. However it takes about an hour rather than 30 minutes!!!!! Because they are made from the same Material as other crowns they are just as strong and will last just as long. We mainly Use Ivoclar Emax, which is the same Material as other crowns they are just as strong and will last just as long. We use the very latest adhesives which involves several stages but achieves an almost perfect bond. These adhesives are a tremendous improvement both in terms of strength and endurance. 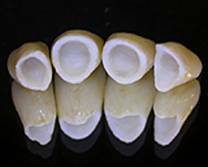 There are similar to the materials we use will our Bonded Cosmetic Fillings. 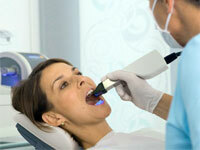 In some cases a Root Canal Post may be required and the cost for this is £165. In some cases a Bonded or Pin retained core may be required and the cost for this is £95. 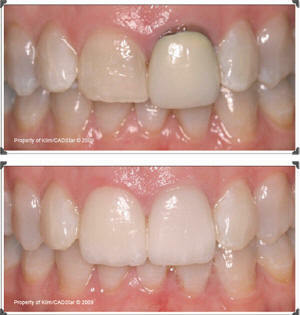 The overwhelming majority of patients who want to have a nicer smile can achieve it very simply.